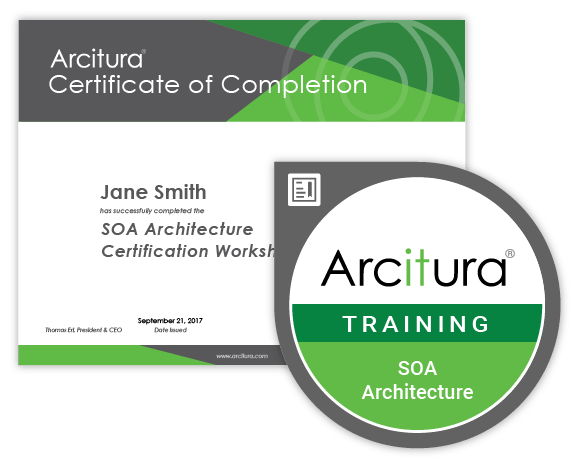 Arcitura Education is pleased to offer the 5-day Virtual SOA Architect Certification Workshop. Group discounts are available for two or more registrants from the same organization. As explained below, optional on-site certification exams are available as part of this workshop. Regardless of whether you participate in the exams, by attending this workshop you will receive an official Certificate of Completion that will be mailed to you directly. To achieve the SOA Architect certification, you can take individual module-specific exams for each course or you can complete a single combined exam. If you have already taken exams S90.01B and S90.02B or if you have already achieved a SOACP certification, then you have the option of taking the partial combined exam that covers only the remaining courses. For more, visit http://www.arcitura.com/soacp/architect. 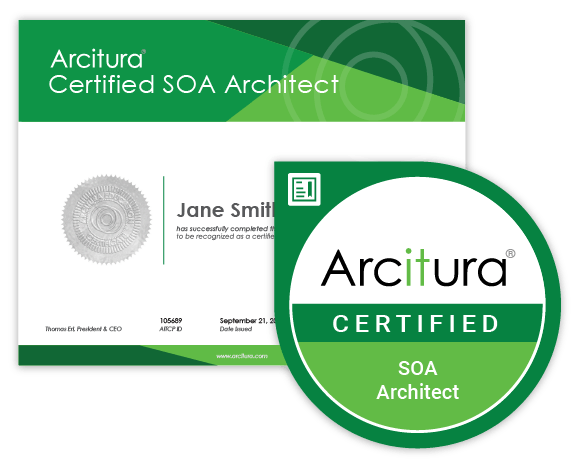 If you receive passing grades on the required exam(s) you will become a Certified SOA Architect. A Digital Accreditation Certificate will be automatically e-mailed to you and an official Acclaim Digital Certification Badge will be automatically issued to you as well. If you don’t already have an AITCP account, you will be provided an account from where you can access certification logos and your transcript. For more, visit www.arcitura.com/badges. This workshop will be delivered by a live Certified Trainer via WebEx in Gulf Standard Time (GST), as per the schedule below. WebEx access details will be provided separately subsequent to registration. An optional test call can be arranged prior to the workshop to confirm your access.